The Peter Bennett Award is awarded for individual service making an outstanding contribution to the Canadian municipal IT Community and to the MISA/ASIM Canada Mission and Objectives, while exemplifying Peter Bennett’s spirit of demonstrated leadership and working “beyond the call” with humour and humanity. A municipal information technology leader(s) may receive this award each year from MISA/ASIM CANADA as outlined in this call for nominations. The award may not necessarily be given in any particular year should there not be a worthy recipient in the opinion of the MISA/ASIM Canada Board of Directors. Peter Bennett Award recipients to-date are: Peter Bennett (honoured posthumously 2006), Debbie Barrett (2006), Per Kristensen (2007), Roy Wiseman (2008), Gerry Matte (2009), Harry Turnbull (2010), Gaston Huot (2011), Alan Mitchell and Skip Lumley (2012), Garry Bezruki (2013), Maurice Gallant (2014), Kathryn Bulko (2015), Jean-Pierre Fortin (2016), Sabina Visser (2017) and Kevin Peacock (2018). Nominations must include the name, position, and contact information of the person making the nomination as well as a minimum of two (2) other people who support the nomination. The nomination process will include a summary, no more than two (2) pages in length, and should include documentation of the achievements of the nominated IT leader and her/his contribution to the municipal IT community. Nominations must be forwarded electronically in confidence to Chair, Nominating Committee, MISA/ASIM Canada by March 22, 2019. E-mail: Kathryn Bulko and include ‘2019 Peter Bennett Award’ in the subject line of your email. The Selection Panel will be the Board of Directors of MISA/ASIM Canada or a Committee designated by the Board. The 2019 Peter Bennett award recipient(s) will be announced at the 2019 MISA/ASIM Canada MCIO Summit in Jasper, AB on April 9, 2019. Download the Peter Bennett Nomination Form. The Dennis Steen Award is presented to an individual or individuals who are not municipal employees and who have made outstanding contributions to the Canadian municipal IT community, furthering the objectives of MISA/ASIM Canada and its member associations. Dennis Steen was a long-term Ontario Government employee who was instrumental in the formative years of MISA Ontario and a behind-the-scenes contributor to the formation of MISA/ASIM Canada. Dennis was introduced as the provincial representative for MISA Ontario in January 1976 and remained active on the MISA Ontario Board until 1995, when he was honoured as a Life Member. Dennis passed away in 2009. 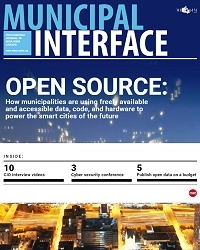 Recollections from municipal colleagues in the January 2010 issue of Municipal Interface included quotes, such as the following: “For many years, Dennis was MISA and MISA was Dennis”; “[he] pushed, prodded and guided us to where we needed to be to support our municipalities and the citizens of Ontario”; “during that time, Dennis was the IT department for a large number of small municipalities”; “when MISA needed funding or resources to undertake some initiative, Dennis was the guy who usually presented the case to his colleagues at the ministry – and I don’t think there was a time that funding and resource requests were denied”; “he never had to be asked to volunteer, he was usually the first to offer. In fact, I don’t think there was a committee ever struck for which Dennis did not volunteer”; “Ironically, Dennis was probably the one who received the least professional value from MISA, because he was not a municipal employee – yet he was a tireless supporter”. It is these characteristics which MISA/ASIM Canada wishes to honour with the Dennis Steen Award. While most key contributors to MISA/ASIM Canada come from municipal IT, this award honours individuals from outside this community who have nevertheless become, like Dennis, indispensable allies in furthering the objectives of MISA/ASIM Canada and municipal IT. This award may be for either a long-term commitment (like Dennis) or outstanding work on specific initiatives which have been instrumental to the furtherance of municipal IT goals. Those eligible may come from other levels of government, the broader public sector, not-for-profit or private sectors and may have contributed at a national level or in a specific province, territory, or region. Dennis Steen Award recipients to date are Corinne Charette (2015), Fawn Annan (2017) and Roy Wiseman (2018). Nominations must be forwarded electronically in confidence to Chair, Nominating Committee, MISA/ASIM Canada by March 22, 2019. E-mail: Kathryn Bulko and include ‘2019 Dennis Steen Award' in the subject line of your email. The Selection Panel will be the Board of Directors of MISA/ASIM Canada or a Committee designated by the Board. Download the Dennis Steen Nomination Form.